Minions theme: Who doesn’t just love those little incomprehensible yellow bags of cuteness? They are loved and adored by all. Your party will resonate with the hearty laughs of the children. Barbie theme: Choose a Barbie theme for your little daughter’s party. Let all the kids come in a Barbie costume and get up. Lego- themed party: Kid’s loves legos. A Lego themed party will be fantastic and enjoyable all the tiny tots. Apart from choosing a theme for the party, you can always hire a party entertainer for the party and that’s a winner. 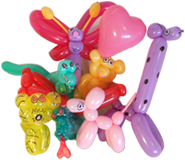 Balloonatic Bruce is a great quality entertainer for children’s parties in Melbourne.